At the Savage Law Firm we understand no one is perfect, but if a physician makes a mistake that changes your life for the worse, we’ll be there to help. 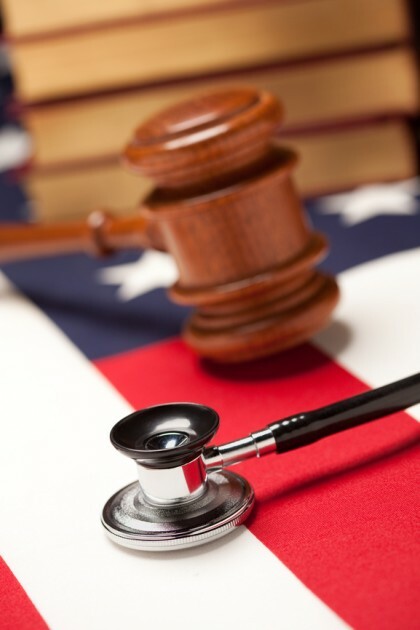 Medical malpractice is a general legal term used to describe any incident in which a patient is unduly harmed by a physician through a medical procedure, medication error, medical advice or failure to recognize symptoms of disease. We’ve all heard horror stories about surgical instruments being left behind, preventable infections overtaking a body and misdiagnoses leading to fatality. These mistakes can and do happen. At the Savage Law Firm we understand no one is perfect, but if a physician makes a mistake that changes your life for the worse, we’ll be there to help. For more than three decades, we have helped our clients recover full and fair money damages from negligent medical facilities and professionals responsible for damages resulting from an act of malpractice. Contact Bill Savage or Carol Hepburn, Portland and Seattle medical malpractice lawyers. Surgery is a serious undertaking for both the patient and the surgeon involved. There are fundamental risks in any surgery that a skilled and meticulous surgeon should overcome. But, in cases where injury is incurred through the fault of the surgeon, medical negligence could be to blame. It is the surgeon’s responsibility to thoroughly understand the patient’s case and the appropriate corresponding procedure before committing to surgery. Hospital certification rules require procedures to protect against wrong-site surgeries. These procedures place the responsibility of correctly identifying the surgery site on the surgeon, surgical team and nurses, but mistakes still happen. Wrong-site surgeries increase the trauma and delay the healing time for patients. Any time someone enters an emergency room there is opportunity for medical mistakes to occur. It is critical that emergency room patients are given appropriate priority based on their injuries or symptoms. Failure to properly triage a patient and recognize acute symptoms can easily lead to further physical damage or fatality. Everyone wants to have a healthy baby free from medical concerns. When negligent physicians and hospitals cause harm to infants during birth, parents have a right to pursue legal action. Our Beaverton, Oregon, birth injury attorney can help you seek the compensation your child will need for on-going medical treatment and rehabilitative therapies. Medical professionals are trained to care for and heal their patients. Part of the health care and treatment process is the diagnosing of diseases. This is an art unto itself and is left to the expertise of educated physicians. Misdiagnosis and delayed diagnosis are serious issues for patients as they can have a wide range of consequences. Doctors have been known to miss warning signs for certain types of cancer, thus dangerously delaying treatment for a disease that requires early detection for success. Patients are sometimes misdiagnosed with a disease that they do not even have and are given harmful medications that worsen the real health problem. Serious illness or injury results from medical misdiagnoses every year. Many medications can cause serious harm if they are not properly administered. When a medical provider gives a patient the wrong dosage or the incorrect medication to treat a particular illness, further damage may ensue. Orthopedic conditions can be very serious and must be attended to immediately. They cover a wide range of bone injuries that, if the fault of a physician, can have serious legal implications. If you or a loved one suffered an injury because of an anesthesiologist error in Portland, Oregon, or elsewhere in western Oregon, talk to a Portland anesthesiology malpractice attorney at the Savage Law Firm right away. Under the direction of AV-rated* trial attorney Bill Savage, our team has been standing up for the rights of plaintiffs in Portland medical malpractice settlement claims and jury trials for more than three decades. We have obtained millions of dollars in settlements and won personal injury trials that have had an impact on state personal injury law. Millions of people across the U.S. put their faith in home health care providers. In most cases, these medical professionals provide a valuable service to those who need care. However, it only takes one negligent or poorly trained home health care provider to cause a serious injury or wrongful death. Hospitals are responsible for ensuring their premises are safe for patients and visitors, and that safety standards are met. Our attorneys thoroughly investigate hospital-acquired illness and injury cases to identify liable parties and help our clients obtain maximum compensation for their losses. Licensed medical professionals have a legal duty to ensure that you receive proper medical diagnosis and treatment for injury and disease. Hospitals and medical clinics share in that responsibility. Mistakes such as errors in medical charts, improper medication, infection and dehydration are often the result of hospital policies and procedures that put more emphasis on cost savings and staffing needs than on patient care. Many medication errors could be avoided with proper training, communication and standardized medical procedures in place. When hospitals and medical professionals do not make the effort to ensure the proper use of medicine, they can be held accountable for the injuries their patients suffer. At the Savage Law Firm, we have a tremendous respect for nurses who staff our hospitals and clinics in Portland and surrounding communities. Unfortunately, when a nurse makes a mistake because of negligence, a catastrophic or life-threatening injury can result. If you have suffered an injury, whether from medication errors or infections from unsterile needles and equipment, talk to a Portland medical malpractice attorney at the Savage Law Firm right away. At the Savage Law Firm, we have the legal and medical knowledge to effectively pursue OB-GYN injury lawsuits. We also utilize experts in obstetrics, gynecology, pediatrics and other relevant fields who help us prepare and present our cases. While any case of medical malpractice can prove tragic, those in which children are harmed are uniquely tragic because they can rob victims of a lifetime of potential. If your child has suffered due to pediatric malpractice, you have the right to pursue compensation for your child’s suffering as well as the financial burden the injury places on your family. Many psychiatric patients are at risk of harming themselves or others if they do not maintain psychiatric treatment. When an at-risk patient receives substandard care or abuse at the hands of a doctor, the results can be tragic. Modern technology has given us X-rays, MRIs, CT scans, ultrasounds, mammograms and other diagnostic tests that make it possible to diagnose diseases that were once undetectable. The technology, however, must be utilized by highly trained, responsible medical professionals. When radiologists and lab technicians are negligent in their duties, the results can be tragic. To discuss your potential claim, contact a Portland or Seattle medical malpractice lawyer at the Savage Law Firm. We can help.